Mumbai: The BJP has previously stated that it would tie up with the Shiv Sena in Maharashtra for the 2019 Lok Sabha elections. But now the BJP appears to have started preparing to go it alone in the parliamentary polls. Even though the Sena has 18 MPs, many in the BJP believe that the 2014 Lok Sabha cannot be the benchmark for the current political reality in the state, where the BJP has increased its clout in Shiv Sena’s strongholds. 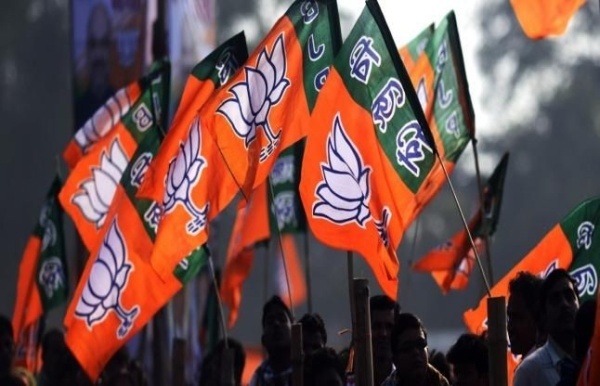 Senior BJP sources said that the party is particularly confident about its standing in constituencies such as Mawal, Shirur and Thane that are currently held by the Shiv Sena. In the 2014 Lok Sabha elections, the BJP bagged 23 Lok Sabha seats from Maharashtra. The BJP suspects that the Sena’s success was at least partly due to the Narendra Modi wave. The allies parted ways in the October 2014 assembly elections, after failing to agree on a seat-sharing arrangement. In the event, the BJP did much better than the Sena, winning 122 seats as opposed to the Sena’s 63. The BJP also ate into the Shiv Sena’s voteshare in the bypolls held earlier this year. Clearly, if any discussion on the alliance begins, then the BJP will insist on the allocation of seats on the basis of its increased strength. The BJP recently organised the Atal Sankalp at Pimpri in Pune district. This is the beginning of the election campaign for the BJP’s Pune wing. Though the BJP holds the Pune seat in Lok Sabha, neighbouring Shirur and Mawal constituencies are held by Shiv Sena. But the BJP is eyeing both these seats for 2019. In the Mawal Lok Sabha constituency, Panvel, Mawal and Chinchwad assembly constituencies had been won by the BJP. The Shiv Sena won in the Uran and Pimpri constituencies. In the Shirur constituency, Shivajirao Adhalrao Patil is the Member of Parliament. However, of the six assembly constituencies of Shirur Lok Sabha constituency, there are BJP MLAs in the three constituencies of Shirur, Bhosari and Hadapsar. Shiv Sena is represented in only one assembly constituency in this Lok Sabha segment. The BJP will be claiming this constituency, along with Thane. There are three BJP MLAs in Thane out of six assembly constituencies. Two are from the Sena.